We deal in Sale / Purchase / Leasing of Residential and Commercial properties in Mohali, Chandigarh & Zirakpur. We believe in providing professional dealing with best and fair Real- estate solutions to our customers at the cheapest rates. 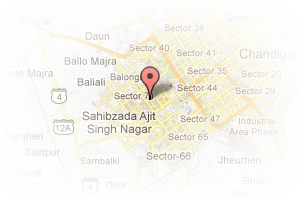 Address: F-470, 3rd Floor, Phase 8-B, Industrial Area, Sas Nagar Phase 8B, Mohali, Chandigarh, India. 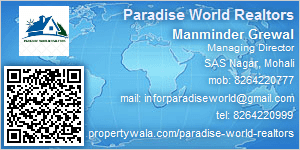 This Broker Profile page for "Paradise World Realtors" has been created by PropertyWala.com. "Paradise World Realtors" is not endorsed by or affiliated with PropertyWala.com. For questions regarding Broker Profiles on PropertyWala.com please contact us.